In Florida, it is against the law for anyone under the age of 21 to possess or drink alcohol. Underage possession of alcohol is considered a first- or second-degree misdemeanor, which means it can be punishable by jail time, probation and a permanent criminal record that can hamper your future opportunities in education and employment. 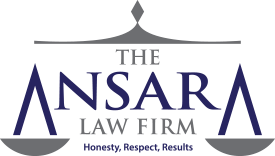 At The Ansara Law Firm, our Fort Lauderdale criminal defense attorneys will fight for your rights. We recognize that seemingly minor youthful indiscretions can have a profound impact on your future – and we will apply our extensive knowledge and skill into minimizing the impact of these charges on your life. Prosecutors handling these cases will often try to negotiate a quick settlement. But you should never agree to a “deal” without first discussing it with your lawyer. Florida law outlines underage possession of alcohol in F.S. 562.111. If possession of a drink is “actual,” it means defendant possessed the drink on his or her person or readily within his or her reach and/ or control. However, if possession of a drink is “constructive,” that means prosecutors won’t be required to prove the minor was physically holding the drink. Instead, prosecutors will only need to show the drink was in a location over which the accused had control over it and knowledge that the drink was in his/ her presence. It’s not necessary for the court to prove the minor was actually consuming the beverage or had surpassed a given level of intoxication in order for a conviction on this charge to stand. A judge could decide to impose each of these or some combination of these offenses. On top of all this, an underage person who is convicted on a charge of possessing alcohol is going to face automatic revocation of their driver’s license for a period of between 6 months to 1 year. In addition, a person convicted of a second or subsequent offense is going to face a mandatory revocation period of two years. It is possible for the Florida Department of Highway Safety and Motor Vehicles to issue a hardship license before that time frame is up. However, that assumes the offender is otherwise qualified to have a driver’s license. There are numerous defenses that can be effectively raised in a case where underage drinking has alleged. Some defenses are legal, which means we may be disputing application of the law, while others are factual, meaning they involve disputes of the specific events of the case we are defending. Lack of knowledge that the beverage possessed had any alcohol in it. Inability of prosecutors to prove beyond a reasonable doubt who had control over the beverage. The beverage possessed didn’t have any alcohol in it. Lack of knowledge that the beverage was within the presence of the accused. Insufficient proof that minor knew he or she was in possession of the beverage. Failure of law enforcement to preserve evidence of the drink’s contents. Minor was holding the drink for a friend, not realizing its content. Suppression of evidence in cases where officer detained accused without probable cause to believe the accused was underage. Lack of a search warrant or other legal justification of officers to enter or remain on site. In a substantial number of these cases, there is a genuine issue of material fact as to whether defendant knew the beverage in question was in fact alcohol. This happens in many cases at parties or nightclubs, where it is common for friends to hold one another’s drinks, while they dance or head to the restroom or pay a bill. If you have been charged with underage drinking in South Florida, contact the Fort Lauderdale Criminal Defense Lawyers at The Ansara Law Firm by calling (877) 277-3780.